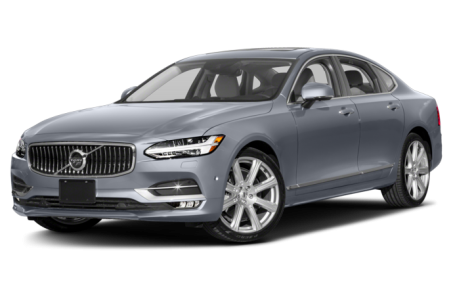 The 2018 Volvo S90 is a full-size luxury sedan that competes with the Mercedes-Benz E-Class, BMW 530, and Jaguar XF. It is powered by a standard 250-hp, turbocharged 2.0-liter 4-cylinder engine mated to an 8-speed automatic transmission. A more powerful 316-hp, supercharged and turbocharged 2.0-liter 4-cylinder is available as well. Front-wheel drive comes standard, while all-wheel drive is optional. Three trims are available: the T5 Momentum, T6 Momentum, and T6 Inscription.